My internship as a Communications Assistant, 2 months in now, is giving me the opportunity to get out there and not only work at different events that that the Trust is running and events Dame Kelly is attending, but also experience how Dame Kelly really does connect with young people, and they really do look up to her. 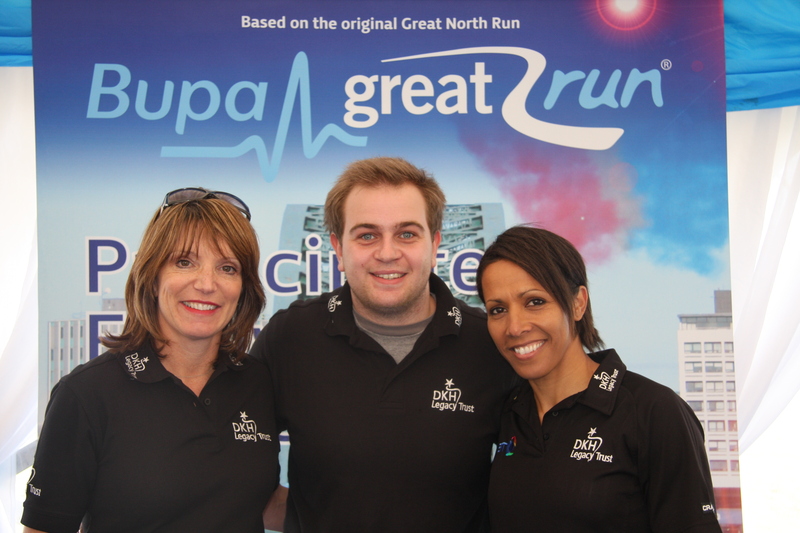 Two events in the last month that have been extremely enjoyable, despite the long hours, were the Great South Run (Don’t worry – I didn’t run) and our launch of ‘Backing Talent’ in Manchester. On Sunday 25th October I was awoken at 4:30am to clubbers making their way home, after what looked like a whole weekend session (something I’m honest enough to say I participated in during my time in Coventry.) As they ‘kebabed’ themselves I was setting off for Portsmouth….. work was beginning for me that day. In Portsmouth we had 9 committed fundraisers running the Great South Run in aid of the Dame Kelly Holmes Legacy Trust (www.dkhlegacytrust.org). Before the event, I was leading our press coverage, aiming particularly at the local press of the 9 runners we had, and obviously Dame Kelly. Next was up in Manchester, at ‘Backing Talent’ where 60 talented young athletes took part in a two-day event led by Dame Kelly. Especially relevant as the countdown to the Olympics begins, after last week’s 1000 days to go until the start of London 2012. The Backing Talent Programme gives ‘up and coming’ stars of the future the chance to find out what it takes to succeed in elite sport. They took part in a range of practically based workshops and activities across the two days helping them to learn what it takes to reach the very top. As well as Dame Kelly, the young people also worked with other Commonwealth, Olympic and Paralympics Medalists like Sarah Stevenson Olympic Bronze Medalist (Taekwondo) Beijing, Bryan Steel, Olympic Silver Medalist (Cycling) Richard Parks, Former Wales Rugby Union International and Anna Hemmings, 6 time World Champion Kayaker and even Billy Wingrove, World Record Holder Football Freestyler. All of these top athletes in their field worked with the young sporting talent helping them to understand what it really takes to become a world-class performer and reach the top in their sport. My job as Communications Assistant, for Dame Kelly’s charity, gave me the opportunity at this event to interview all the different Olympians we had working for us, as well as the young stars who are in the Olympic talent squad for their sorts, which ranged from Triathlon to Volleyball. This was an amazing opportunity for me to show off my interviewing skills, and also get the odd chance to hold a few Olympic Medals (They’re heavier then you think). I also arranged Interviews for Dame Kelly throughout the Two day event. She had telephone interviews with BBC Radio Manchester and Press Association then Sportsround (the sporting supplement to BBC programme, Newsround) came down and did a feature on the DKH Legacy Trust and what we do. Despite the few stressful moments that occur – especially at huge events like this – the post event PR and then finally seeing the press coverage does put a massive smile on my face. Knowing that I’m helping to raise the profile of the charity really does make this opportunity for me so worthwhile.